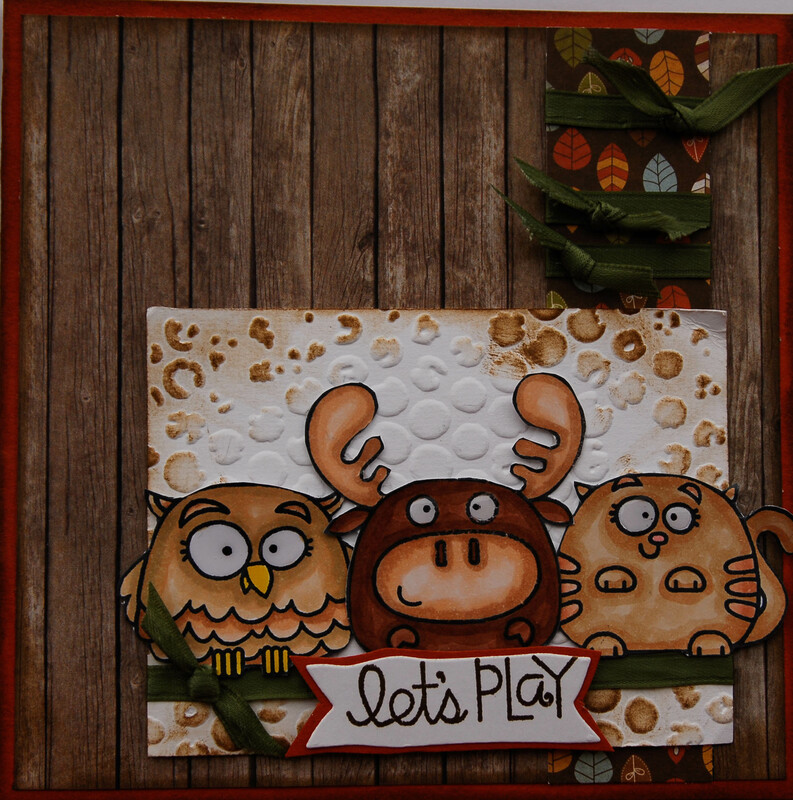 Sandra has been getting lots of use out of her Paper Smooches stamp sets. She was one of the Featured Players for her previous card creation in the last challenge so she is on a roll for sure. I will post her winning card again, so everyone knows which one received the accolades. Supplies: Paper Smooches Chubby Chum Pals and Chubby Chums stamp sets, Imaginisce patterned paper, Stampin Up and X-press It card stock, Cuttlebug embossing folder, Tim Holtz and Memento Tuxedo black Ink, Copic markers, Michael’s ribbon. Posted on October 1, 2015, in Card Samples, Challenge Entries, Felix (Sandra's) Card Samples and tagged challenges, Paper Smooches. Bookmark the permalink. 2 Comments. 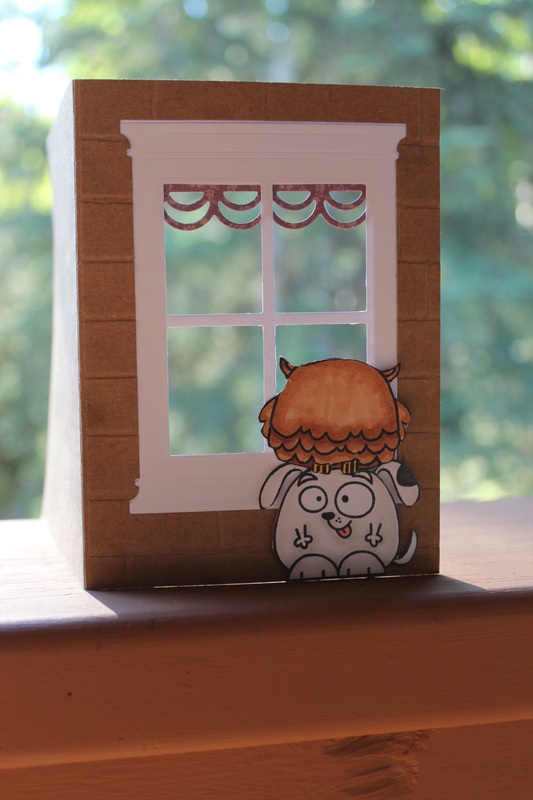 Love the adorable window scene. Too cute! 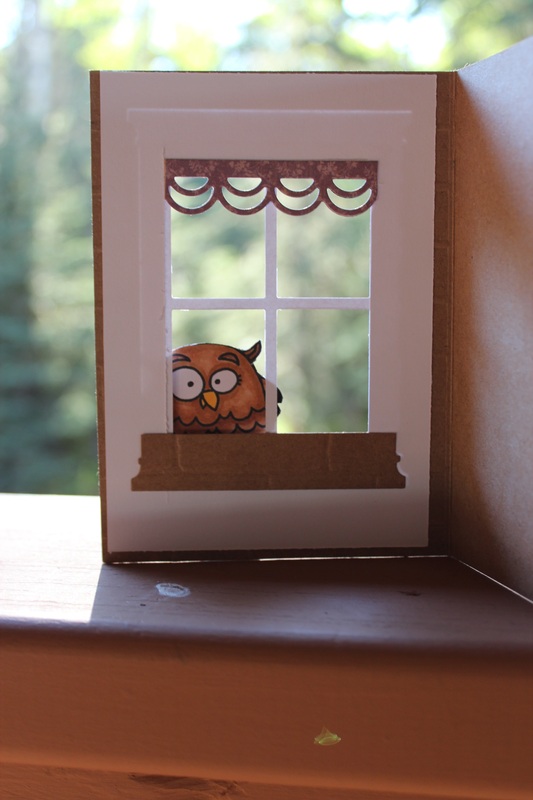 Thanks so much for playing along with us at PaperSmooches Sparks!